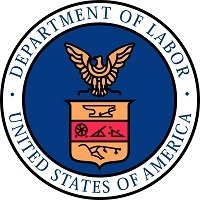 The U.S. Department of Labor will hold a forum in Oklahoma City on Tuesday, March 28, to offer employers free assistance and training from the agencies that enforce federal labor laws. Representatives from OSHA and other agencies will answer questions and offer guidance on worker safety and health regulations; employee benefits requirements under the current Affordable Care Act; government contracts; veterans’ employment and training; and laws for wages, overtime and youth employment. The forum is scheduled to run 8 a.m. to 3 p.m. at The Francis Tuttle Technology Center. Seating is limited, so those interested in attending are encouraged to register online or contact the event organizer. As residents in Kansas and Missouri recover from the damage caused by recent tornadoes and severe storms, OSHA urges caution during cleanup and recovery efforts. Workers, employers and the public should be aware of hazards they may encounter, and steps needed to stay safe and healthy. "Recovery work should not put you in the recovery room," said Karena Lorek, OSHA's area director in Kansas City. "Our main concern is the safety and health of the workers and volunteers conducting cleanup activities." OSHA representatives are available in hard-hit areas to communicate with emergency responders, provide advice and distribute educational resources to assist in a safe clean-up of damage. For more information, see the news release. Schoeneck Containers Inc., a Wisconsin-based manufacturer of plastic containers, earned acceptance into OSHA's Safety and Health Achievement Recognition Program after working with the agency's free On-site Consultation Program to reduce noise levels through engineering solutions and update its lockout/tagout program. During the SCI's 13-year participation in SHARP, the company has seen its injury rate drop 90 percent. For more information, see the success story. OSHA has signed a strategic partnership with Barr & Barr Inc., a construction management company in Springfield, Mass., to enhance workplace safety and health during the construction of Amherst College's new science center. Under the partnership, Barr & Barr will develop a safety and health plan for project subcontractors, setting out requirements and goals. The plan will include quarterly safety stand-downs; weekly meetings with subcontractors to discuss project safety issues; reviews of upcoming work; and comprehensive analyses of job hazards. For more information, see the news release. 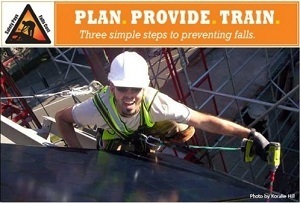 Construction management company Harvey Cleary, a participant in OSHA's Strategic Partnership Program, mandates the use of fall protection at all times for all contractors. At an apartment project in San Antonio, Texas, a framing contractor balked at the requirement, claiming that he never used fall protection in residential construction. After the safety team leader for Harvey Cleary made it clear that following OSHA fall protection requirements was a condition of employment, the contractor engineered a fall protection system and had his employees secured to lifelines. A short time after the system was put into place, three workers fell from the top of the structure but never hit the ground because their lifelines arrested their falls. Not only did the insistence of Harvey Cleary's safety team leader potentially save the lives of three people, it convinced the framing contractor to ensure that his employees have adequate fall protection on future jobs. The Twin Tiers Service, Transmission, Exploration, Production Safety Network has signed a new two-year agreement to address hazards associated with oil and gas operations. The Nebraska Safety Council, Great Plains Safety and Health Organization, and National Safety Council Nebraska has signed a new two-year agreement to protect meat packing workers from exposure to fall, noise, electrocution, amputation and ergonomic-related hazards. The Safety Council of Palm Beach County renewed a five-year agreement to develop safety and health tools on work zone safety, safety and health management systems, and other topics that will help prevent worker exposure to workplace hazards. The University of Puerto Rico's Rio Piedras Campus renewed a two-year agreement to provide information, guidance, and training on struck-by, caught-by, fall, electrocution, chemical, and workplace violence hazards as well as emergency management issues. In response to a complaint of unsafe working conditions, OSHA inspected Hitachi Automotive Systems Americas of Monroe, Ga., in August. Inspectors issued safety and health citations to Hitachi for numerous violations, including deficiencies in the company's hearing protection and hazard communication programs, as well as an emergency eye wash station that wasn’t installed. OSHA also issued safety and health citations to staffing agency Express Employment, which supplied Hitachi with temporary workers. OSHA initiated an inspection in August of Transaxle, a transmission recovery and remanufacturing firm in Cinnaminson, New Jersey, in response to an employee complaint in August. The inspection found repeat violations, including lack of proper machine guarding, hearing protection and training for lock-out, tag-out procedures. Transaxle was also cited for numerous serious violations, including open-sided platforms, electrical hazards, and lack of forklift training. OSHA initiated a safety inspection of Quad Graphics in September following a worker's amputation injury at the Columbus, Ohio, printing facility. Four days after the reported incident, another worker's finger was fractured in a printing press. In October, after reviewing the employer's injury and illness logs and finding that several workers had suffered hearing loss, the inspector opened a health inspection to evaluate the employer's hearing conversation program. A second health inspection was opened in November to address possible combustible dust hazards. OSHA issued the company multiple safety and health citations for violations related to standards including machine guarding, electrical, fall protection, noise, personal protective equipment and hazard communication. Kentucky Occupational Safety and Health cited Texas Roadhouse Management Corp for safety and health violations at its restaurant in Somerset. Inspectors determined that the company failed to provide adequate first aid supplies and failed to provide first aid training to workers. The Washington Division of Occupational Safety and Health issued citations to J & I Construction in Puyallup for exposing workers to falls and other hazards. Inspectors found that the company failed to protect workers from unguarded wall openings, provide railings on open-sided stairs, conduct walk-around safety inspections and ensure that workers wore hard hats. For more information, see the Washington DOSH news release. The Washington Division of Occupational Safety and Health has launched two free smartphone apps to enhance workplace safety. The Good Observation, Near-Miss and Accident Reporting app provides a method to document safety incidents in the workplace and can be used in training, hazard recognition and risk analysis. 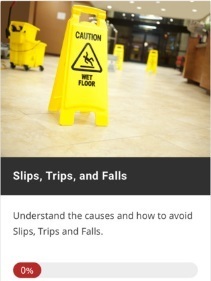 The SafeMe app offers safety lessons, videos and hazard identification for a number of entry-level retail jobs frequently held by teen workers.